While now famous for its approach towards technological development and near industry-leading fit and finish, Grand Seiko was once an obscure underdog with few of the qualities we now associate with it. In the previous article in this series, we went over the origins and early development of Japan’s most famous luxury watch manufacturer, from its early inception to its expansion into the competitive global market. We left off last time talking about Grand Seiko’s lead designer, Taro Tanaka, and his ‘Grammar of Design’ philosophy; the approach GS took towards truly establishing itself in the Western world. However, as the years passed, the industry changed quite dramatically. 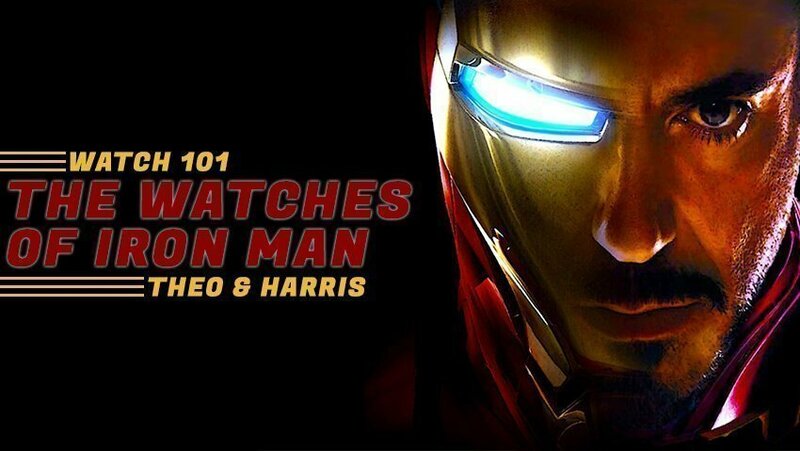 This was thanks to the brand’s parent company, Seiko, and their ‘Astron’ timepiece, the first commercially available watch with a quartz movement. With the industry in a state of flux and disarray, Grand Seiko was left with an uncertain product line up, and an even more uncertain potential market. With few options left, Grand Seiko made a dramatic decision that would shape the future of the company for decades to come. In 1972, the final mechanical Grand Seiko was made, leaving GS a quartz-only brand. While we can look back and think of this as a bad move in regards to the image of the company, it was certainly the correct decision in terms of economics. This was the middle of the quartz crisis, a crisis of Seiko’s making; if their luxury wing was to make the most of the current market, they had to go quartz. Except, they actually didn’t release the first Grand Seiko quartz until 1988, 16 years after production of the entire brand ended in 1972, and well after the peak of the quartz crisis had long since passed, making the entire event seem all the stranger. Perhaps Seiko believed that, with the advent of the quartz movement, there was simply no place for a luxury watch anymore, meaning that they had to wait several years until the culture surrounding watches developed once again to open up this premium market. 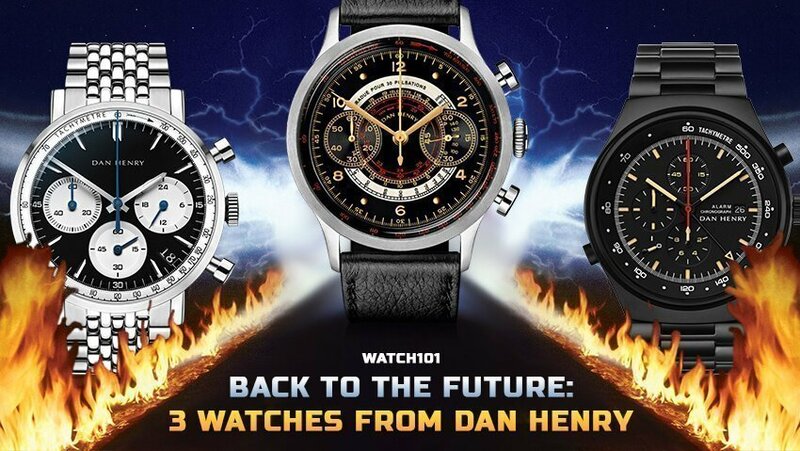 However, by the time they had reintroduced the brand in the late 80s, mechanical movements were firmly back in the market, especially on the higher-end of the industry, so the use of quartz movements still didn’t make sense within the premium brand’s portfolio. 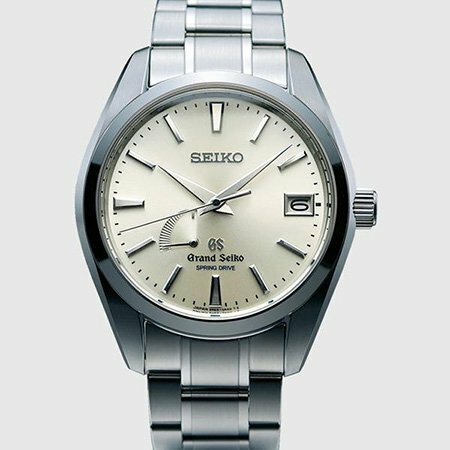 Grand Seiko claims that their use of quartz (which still continues to this day) is due to their pursuit of accuracy, meaning that their use of quartz, despite the negative image, does make sense from a technological perspective. Late 80s era Grand Seiko still maintained the integrated lugs, but the overall designs softened, likely in response to a market that was beginning to enter the ‘round era’ of design; we’d done angular cars, we’d done angular watches; now it was the time for the circle to make a return. opportunity to diversify their collection dramatically. The next major step forward was the Spring Drive movement (which you can read a review of here), though the specifics of which really deserve an in-depth article of its own. To put it shortly, the Spring Drive movement delivers incredibly accurate timekeeping as well as a perfectly linear sweep thanks to an incredibly complex hybrid of mechanical, quartz, and brand-new components, many of which were Seiko’s own unique proprietary designs, all the way from inception to execution. It’s unclear whether or not the creation of the Spring Drive was enough to influence GS’s approach towards visual aesthetic and design, but it certainly feels like it from the perspective of the consumer. The best example of the Spring Drive playing into the identity of a watch can be found in the GS SBGA211, otherwise known as the ‘Snowflake’. While fairly simple on first inspection, the Snowflake is actually a beautifully executed piece of horological design, featuring a textured face that’s very reminiscent of fresh fallen snow. The Spring Drive’s smooth, careful sweep plays perfectly into the delicate nature of the watch’s design, and truly creates an effect that is as pretty as it is poetic. In addition, the finishing of the indices is sharp to the extreme, and its level of polishing is often enough to go completely black in contrast against the white dial. While it’s not as if a German of Swiss watchmaker couldn’t have created something similar to the Snowflake before Seiko, it seems fitting that a watch of this style, one that beautifully combines aspects of nature at its purest with the extremes of manmade timekeeping technology, would be Japanese. The design language has stayed fairly consistent since the introduction of the Spring Drive movement; mirror polishing has taken a priority over brushed surfaces, though it hasn’t been abandoned entirely, harmless yet knife-sharp curves have taken a priority over bevelling, and refined, subtle layouts have taken a centre stage in contrast to some of standard Seiko’s more expensive offerings. Despite Grand Seiko not necessarily having the history and inherent prestige of other brands, they have certainly developed their own distinctive style and trodden their own path. From a financial perspective, their connection to Seiko may hurt them in terms of sales, but their access to resources and general working environments has led them to become the company that creates what are quite possibly the best finished wristwatches on the planet, and none of this would have been possible if not for the continued support from their parent company. 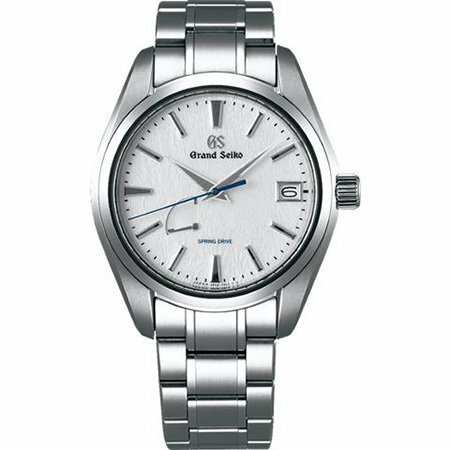 In 2017, Grand Seiko became its own brand; previously they had just been a line of watches under the Seiko umbrella, but the recent, mainly symbolic, gesture has given them an opportunity to head in a direction that is increasingly their own, rather than that of the company at large. With this move came the decision to drop all conventional Seiko branding from GS models, meaning that the famous typeface of the luxury watchmaker now sits front and centre on all of their timepieces. Grand Seiko’s relatively fragmented and short history is one of gradual change and evolution; while not inherently all that different from the journeys undertaken by other watchmakers, especially luxury Swiss houses, Grand Seiko went through theirs without the need for sportsmen and actors to change the company’s direction, causing GS’s story to come across as much more personal and focused than that of other brands. In various ways, this seems fitting for Japan’s most significant watch manufacturer; this is a country that, while having undertaken revolutionary steps in the past century, has generally been a nation of gradual evolution and development, one that has prioritized learning from the past and the world around them, rather than tearing up the rule book or playing into contemporary trends. The company may never reach the heights of Rolex or Omega, or even IWC or Panerai, but they will always have their own niche within the world of horology, one that they will likely explore to all of its variants and extremes in their quest to reach their desired state of physical perfection. What’s your opinion of modern Grand Seiko, and where do you think they’ll head next? In the meantime, be sure to keep it classy! My name’s Henry Kincaid. 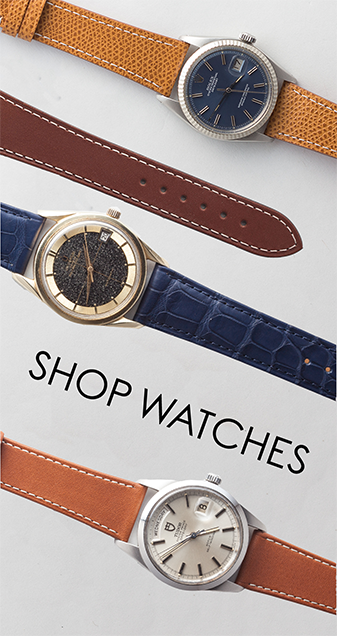 I write about watches, take photos of just about anything, and I’m being trained to design (bits of) buildings as an interior architecture student. I’ve grown up surrounded by great design and people who appreciate it, and I like to think that some of this passion has rubbed off on myself.